Unique Issues Civil Health Care Litigation - Oberheiden, P.C. In heavily-regulated industries such as health care, companies face litigation risks that far exceed those in the various unregulated market sectors. This includes not only an increased risk for state and federal enforcement, but for civil litigation initiated by patients, employees, competitors, and other third parties as well. As a health care company executive, facility administrator, medical professional, or practice manager, you are undoubtedly very aware of the legal and regulatory requirements that impact your business on a day-to-day basis. However, in our experience, many providers are not as knowledgeable about the legal issues that have less of a direct impact and are more likely to lead to private civil litigation. Some of these issues are discussed below. From patient lawsuits alleging improper treatment and malpractice, to wrongful termination litigation with former employees – legal disputes involving medical staff often present issues that are unique to health care providers. Should you terminate a staff member who mixed up patients’ records or administered an incorrect dosage of medication? Can you enforce a non-compete clause against a highly-skilled medical professional? These are questions that do not have easy answers. While disagreements among business partners certainly are not unique to the health care industry, disputes among practice partners raise a number of unique and challenging considerations. From ethical obligations, to financial rights, and the practicalities of splitting practices – licensed practitioners need to be cognizant of the numerous complexities involved in medical partnership disputes. Managed care providers will often face challenging issues that can lead to time-consuming and complex litigation. These can include payment disputes, medical necessity, site of service, and other factors. Providers must be prepared to demonstrate their compliance efforts and contractual performance in order to protect their bottom lines. Compensation arrangements among physicians, pharmaceutical companies, durable medical equipment (DME) companies, medical facilities, and other health care entities are subject to strict limitations. These limits are designed to prevent various forms of compensation from being paid out of Medicare, Medicaid, and Tricare reimbursements. In payment disputes among health care providers, it is common for the federal prohibitions on referral fees and other forms of compensation to come into play, as contracts for illegal payments are generally unenforceable. While the Health Insurance Portability and Accountability Act (HIPAA) is easily the most well-known law governing privacy practices within the health care industry, it is by no means the only source of statutory authority for the enforcement of providers’ privacy obligations. Providers in all sectors of the health care industry can face privacy litigation under a variety of state and federal statutes, and contract disputes with vendors will often involve unique privacy-related issues as well. Due to the extraordinary regulatory burdens placed on all types of health care providers, mergers and acquisitions often involve an array of complex issues that have significant potential to lead to civil litigation. Pre-closing and post-closing disputes are both common. Issues range from breach of representations and warranties, to failure to obtain regulatory approvals (such as certificates of need) that are required for closing. Under the qui tam provisions of the False Claims Act, whistleblowers – who are often competitors and disgruntled former employees – can submit cases of suspected health care fraud to the federal government for prosecution. While the government has an obligation to investigate, it will only intervene and pursue the litigation if prosecutors believe that there are sufficient grounds to seek civil or criminal penalties. However, even if the government does not intervene, the whistleblower (also referred to as a “relator”) can still pursue a civil case independently. Whistleblowers often have significant financial and competitive incentives to do so, and we have extensive experience representing providers in private health care fraud litigation. Assessing Risk and Liability. Until you know what is at stake, you cannot accurately assess the appropriate scale of your response. Is a quick and confidential settlement the best option; or, do you need to be prepared to defend your practice in “bet-the-company” litigation? 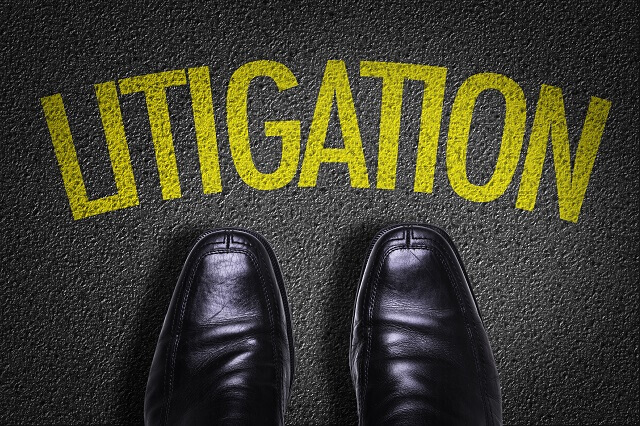 Could a civil lawsuit trigger a federal civil or criminal investigation? Collecting and Preserving Documentation. Any time there is a risk of litigation, appropriate measures should be taken to collect and preserve all relevant documentation. Having a firm grasp of your company’s records will not only aid in assessing the viability of any potential claims, but it will also help ease the burdens of discovery and ensure that you are not at risk for facing allegations of concealment or destruction. Protecting Patient Privacy. Throughout the litigation process, patient privacy needs to be maintained. In order to avoid inadvertent disclosures in court filings and discovery, all information to be released should be reviewed by litigation attorneys who are knowledgeable about patient privacy rights. Assembling a Skilled Litigation Team. A litigation team should include company executives, key personnel with knowledge about the subject matter of the dispute, in-house attorneys, and outside litigation counsel. Reporting structures and communication protocols should be established early, and all team members should have a clear understanding of the factual and legal issues at play. If you need to speak with a lawyer about a potential dispute involving your health care business or practice, we encourage you to contact us promptly for a free consultation. Oberheiden, P.C. is a team of skilled litigators who have decades of experience in health care-related matters. To schedule an appointment, you can call us nationwide at (888) 452-2503, or send us your contact information and we will respond as soon as possible.